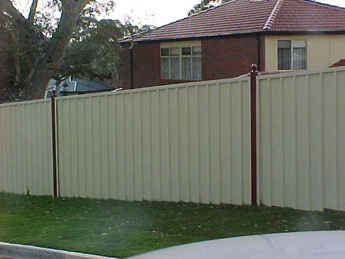 Panel fencing – this style is now extremely popular as each side is the same, so all neighbours are happy. In high wind areas, it is advisable to include a steel post between panels in addition to the standard panel fence post. Choose from a range of sheet profiles as well as a wide range of pre-finished colours in both double sided and single sided sheets. 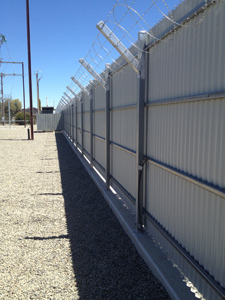 Steel posts and rails help to eliminate twisting or warping of the fence, and are white ant proof. Additionally, post sizes can vary according to the desired visual appearance, or to give added strength. Both rails and posts can be powdercoated to match or even contrast with your sheet colour choice. Lattice tops are available that are only about 300mm high but add to the finished look as well as giving an extra bit of privacy. A stunning look can be achieved by choosing a panel frame colour that is different to the sheet colour. Decorative post capitals, usually colour matched to your chosen pre-finished colour, can be used to enhance the final look of a sheet fence, and different styles are available. Should you not wish to include post capitals with your fence, a simple and innocuous post cap may be used. 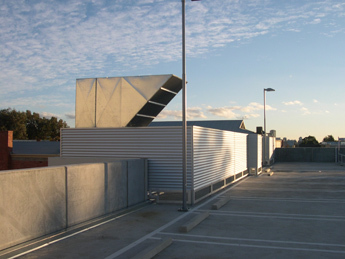 Note that council approvals are required if the proposed base fence exceeds 2 metres in height. There are many different solutions to your sheet fencing needs – contact one of our friendly and experienced sales staff for more information today!